Zella Ziona was shot following an argument in the parking lot of a suburban Washington, D.C. shopping center, and died at an area hospital. Police in suburban Washington, D.C. are investigating the murder of 21-year-old Zella Ziona, a transgender woman who they said was found fatally wounded in an alley near a parking lot between two Montgomery County, Md., shopping centers. She is the 21st trans person murdered in the U.S. in 2015. A witness who wished to remain anonymous told Washington, D.C. TV station WJLA he saw the gunfire around 5:50 p.m. Thursday. "I only saw one gun. It just happened so fast, and kind of scary," said the witness, who claimed to have seen Ziona surrounded by four or five teenagers. In the midst of an argument, he says one of the teens pulled out a gun and shot Ziona in the head. He said he heard the gunman fire four or five rounds. ”They argued and things happened so fast. I don't know what they argued for," the witness told WJLA. Ziona died at an area hospital around 8:12 p.m. Thursday, said police, who at first identified her as a male and by her birth name, but corrected that report after speaking to her friends and family. "Detectives do not believe this was a random shooting,” said Montgomery County Police Officer Rick Goodale to WJLA. Detectives are reviewing surveillance video from a nearby laundromat. Friends of Ziona have been posting online tributes ever since news broke of the shooting. Ziona becomes the 21st transgender woman confirmed murdered in the U.S. in 2015, highlighing why trans advocates continue to decry an "epidemic" of transphobic violence. 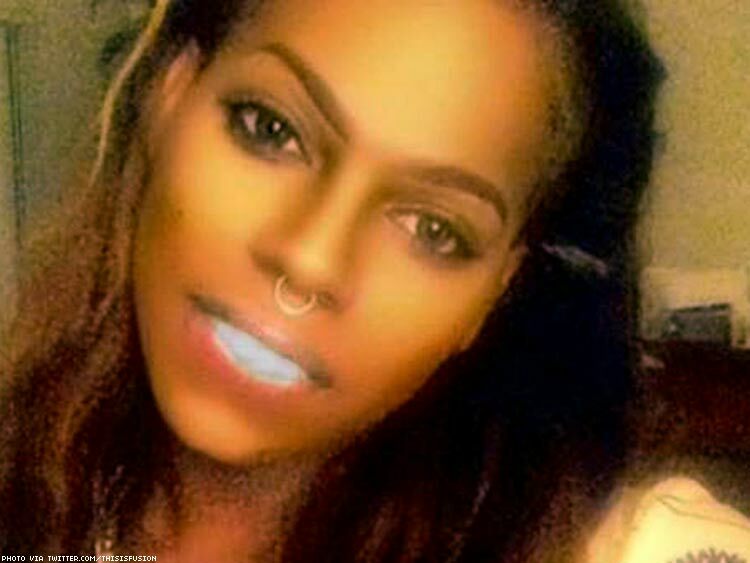 A 22-year-old trans woman known as Kiesha Jenkins was murdered on October 6. Ziona, Jenkins and the vast majority of the women killed this year have been transgender women of color. By comparison, 12 transgender women were murdered in all of 2014. Click here to read more about the 21 transgender women murdered in 2015. Watch the report on Zella Ziona's murder from WJLA, below.